I don't enter many competitions, and so, I seldom win anything. Cause and effect. But today's post brought me "The Cuckoo's Calling". 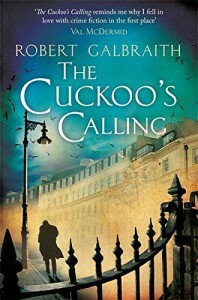 I haven't read the first in the series - whose name I can't remember - but these are the books JK Rowling wrote under another name, ie, Robert Galbraith. Hope it's good.